Although Paragon recognised an old canteen above the factory might provide the required space, it was only further to a number of design brainstorming sessions with Business Interiors that the full potential of this unusual space started to become apparent. 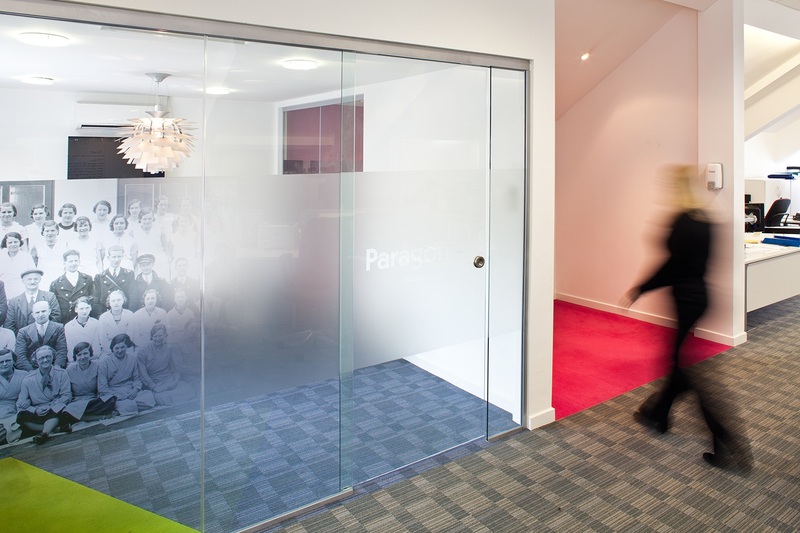 Paragon became an enthusiastic participant in this workplace transformation – not only would this project transform the effectiveness of the customer service team, it would also become a beacon of cultural change and an impressive showpiece for visiting clients. The result is a fun, inspiring and motivating solution that is a pleasure to work in. 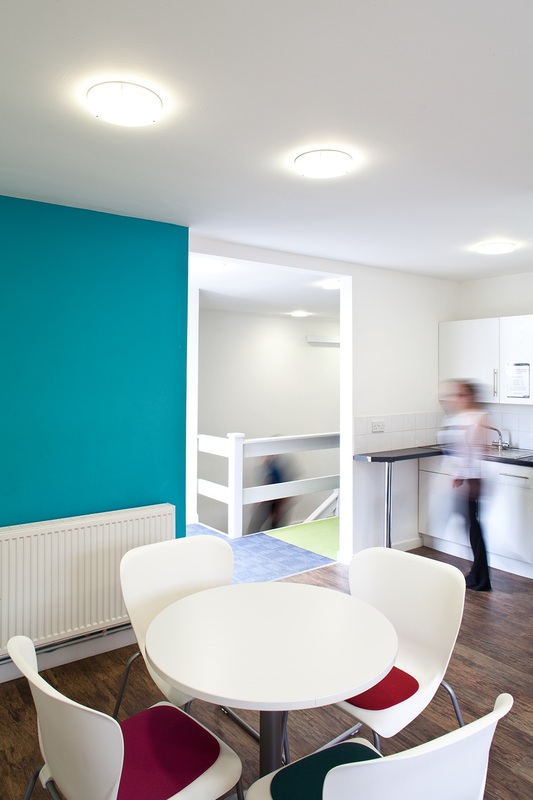 Splashes and accents of bright colour not only create interest throughout the space but also reflect the diversity of the Paragon brands and the colourful branding of the road fleet. 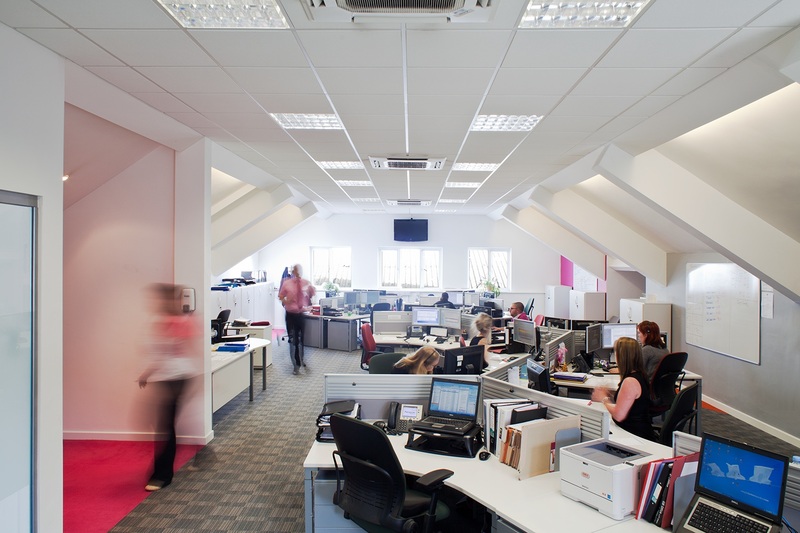 The open plan space is not a parade of clustered workstations, but broken up with unusually angled 120 degree workstations. 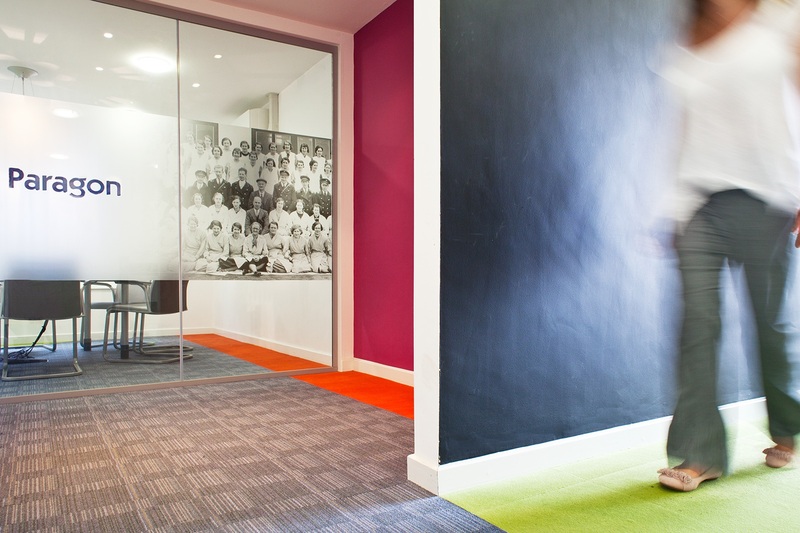 Slices of bright colourful carpet angle into the space and disappear under the walls and frameless glazing. Accent walls balance the carpet detail to make sense of the unusual features. 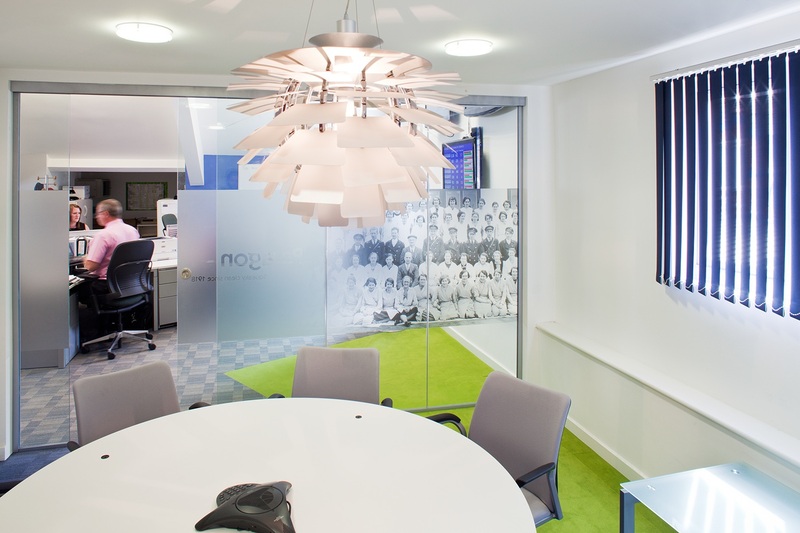 The workstations, screens and chairs are neutrally coloured to calm the eye whilst at work and not overpower the visual effect. 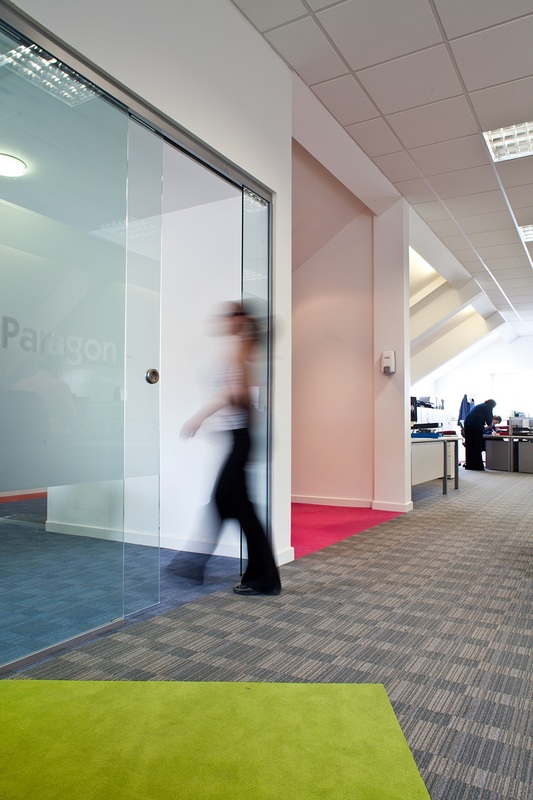 Although working to a tight budget, it is a highly effective workspace that performs on every level for Paragon and they have been delighted with the result.